Saracens secure a great away win against Chess Valley. Saracens travelled to Chess Valley this weekend and were not to be undone by another of the leagues 'anti-expansive' tiny pitches. The game started with Captain Dom Smart finally winning the toss and electing to play up hill, and into the slight breeze. It was one of the best starts the team have made this season. Strong running from Mark 'Termo' Lawson and Connor 'Still Smiling' Reddington put the pressure firmly on Chess Valley, and resulted in Rob 'Best Player' Eston crashing over from short range, under the posts. The next try for Rob 'Where's The Match Report So I Can Show My Wife?' Eston came following an exceptional break from Jamie 'Strong Ankle' Connolly. Both were converted by Michael 'Out Drunk By My Brother' Scrace, who had a great day kicking for posts. Other tries in the first half came from Scrace outpacing the covering defence and Jack 'Still Won't Shut Up On The Wing' Goldberg showed excellent feet and pace to score the last try of the half for Saracens and secure the bonus point. The second half of the match was a tougher affair for Saracens, with the boot of Scrace keeping the score line ticking over and securing a comfortable win away from home. Tries from Chess Valley came from Saracens mistakes which the team will have to work hard on cutting out. 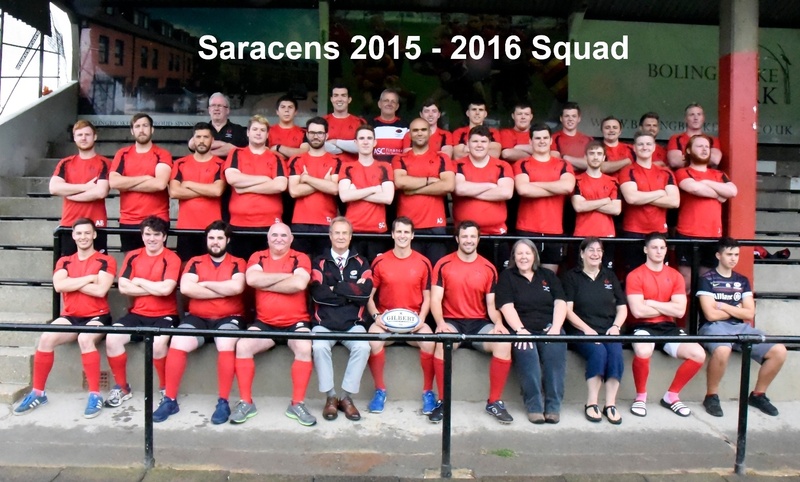 The Saracens pack, especially the front row gave everything to keep the old and bulky Chess Valley pack at bay. A special mention to Salad 'Never Injured When I Say I am' Lynn, Tom 'Beardy' Jeffery and Andrew 'Wants To Be A Winger' Bullmore for their outstanding effort. The only negative to the day was the injury to Hamish 'Lewis Moody' Daniel, but I am pleased to be able to say the injury was not serious and he'll be back playing soon. The next game is away to bottom of the table West London, where Saracens will be expecting to maintain the momentum. A fantastic effort from the Crusaders saw them record their second win of the season away at Watford. This just shows what the teams can do when people make themselves available.